Don't keep your talent from the world, that's selfish. Posted on April 26, 2012, in News and tagged 2012/13 jersey, Arsenal, Bendtner, euro 2012, Premier League. Bookmark the permalink. 5 Comments. 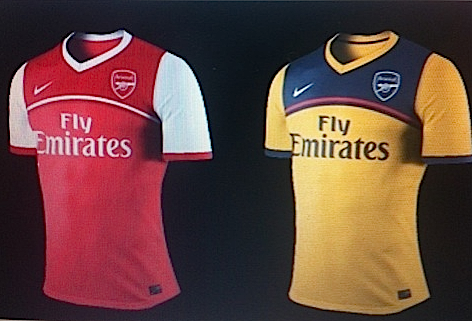 Really like these leaked kits over the previous garbage ones, was hoping we would mimic the Dutch euro kits w/ AFC colors? Also would like to see #52 back @ AFC! Great kit i hope dis will be our new kit next season, LOVE iT!!! Arsenal will win PL tittle ,and the FA cup or Carling cup,alongside with the UCL trophy next season.